The new queens of Afro-Cuban jazz! 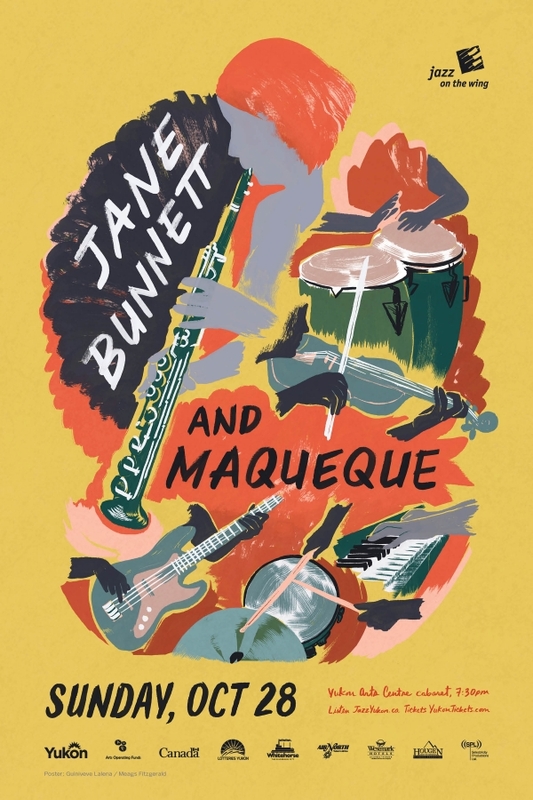 Jane Bunnett and Maqueque features five all-star female Cuban musicians and a rich Afro-Cuban gumbo with vibrant rhythms, melodies, percussion, and harmonies, bringing the soul of Cuba to the Yukon. Jane Bunnett is a two-time Grammy nominee and four-time Juno Award winner. “… there were 2 absolute show-stealers at Litchfield (Jazz Festival). Maqueque entranced listeners with a clave-induced set of Afro-Cuban, booty-shaking world jazz that would have made Dizzy smile.